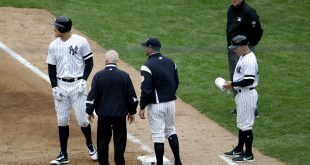 Stanton, the reigning National League MVP, was in the middle of a career-high five strikeout season debut when he came up to the plate and hit a 458-foot homer on to the second deck of left field. From that point the Yankees got hot. 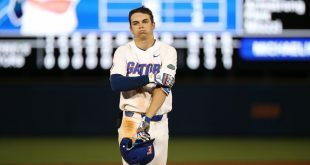 Two innings later, Sanchez who had only one hit in his last nineteen at-bats hit his home run on to left field just a couple rows past the fence. Then in the fourth, reigning Home-Run Derby champion Judge hit his first home run of the season also sending it to left field. The hitting wasn’t the only thing that helped the Yankees blow past the Rays. Luis Severino threw 92 pitches in a little bit over seven innings only allowing 2 runs. Severino ended the day with seven strikeouts, one walk, and only five hits then Adam Warren came on close out the game. 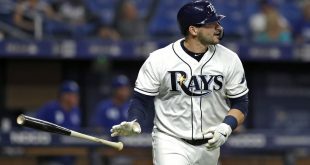 The Yankees improve to 4-2 throughout the season while the Rays fall to 1-5. Up next for the Yankees they face a four-game series against the Baltimore Orioles. 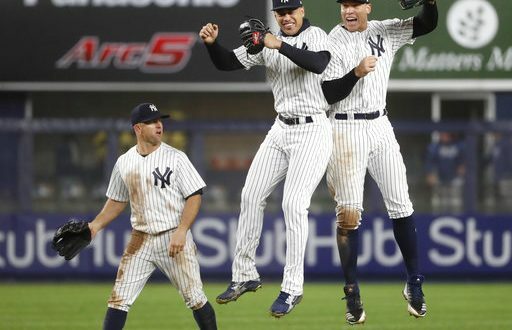 We can possibly see another home run fest from the Bronx Bombers this weekend as they face the team that allowed Judge 11 of his 52 homers last season. 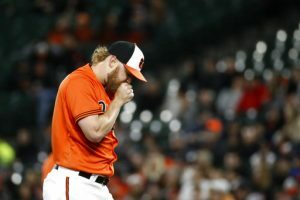 Thursday’s matchup will start the four-game series featuring Tanaka pitching for the Yanks and former free agent Andrew Cashner pitching for the Orioles. This is just Cashner’s second start of the season and gave up three home runs in his season debut. Should be an interesting matchup coming up this weekend featuring the three-headed hitting monster that lives in New York and a Baltimore pitching lineup that is looking to already improve this season.